Today’s post will bring happiness to all my beautiful sisters. Buttermilk Chocolate Cake, it’s so moist and light you just won’t believe it. 110 calories per slice, isn’t this a gift on its own? What I like about this cake is that you can have it as is with a glass of milk, but you can also convert it to a birthday cake with chocolate frosting. My family love this cake and don’t bother to add frosting or cream. Chocolate needs some romance, don’t you think? Maureen is an amazing author, it was a pleasure reading one of her exceptional creations. In High Tide She made the two main characters meet at the beach, I was hooked exactly from there. The characters were strong and felt so real. Maureen’s description makes you actually see everything as if watching a movie on TV. High Tide is not only about romance, it has suspense and more going on. Please get this book if you are in romance and suspense, you will enjoy it for sure. Brewing pause ‘n serve lets you pour a cup of coffee while the coffeemaker is still brewing. 1 – Subscribe to my Youtube Channel, if you are already a subscriber just mention so in the comments below. 2 – For multiple entries, like MunatyCooking Page on Facebook. 3 – You have to be USA residents. Giveaway ends on October 18, 2013. The winner is Mya Murphy. Makes 12 slices, each slice is 110 calories. – Preheat oven to 180C/ 356F. – In a bowl, whisk all the dry ingredients except sugar and keep aside. – In a different bowl beat the egg with vanilla, sugar, oil, and butter milk. – Add the dry ingredients to the wet and mix well. (Do not over mix or the cake will be tough). – Add the hot water and stir well. – Pour in a nonstick pan, or lightly greased baking pan, and bake for 40 minutes or until a toothpick inserted in the middle of the cake comes out clean. Note: If you love more chocolaty cake, use dark chocolate cocoa powder. 110 calories per slice!! wow…can’t imagine a luscious rich chocolate cake with that low calorie!! Thanks for the recipe and the giveaway! Following your FB & subscribed to your YouTube! I like MunatyCooking Page on Facebook. The recipe looks wonderful I can’t wait to try it. I follow on Youtube and Facebook. 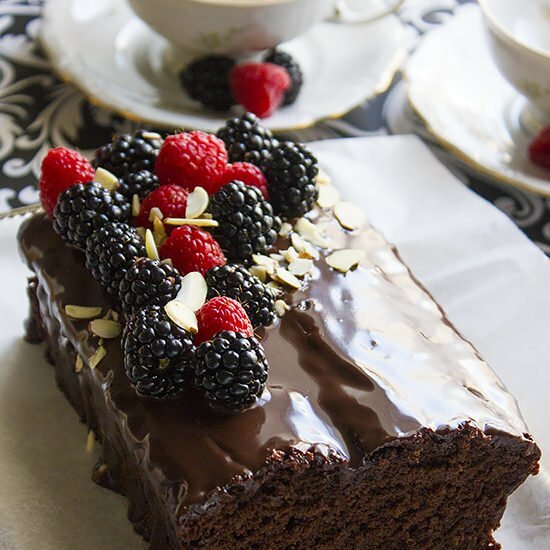 I can not believe this chocolate cake and many of the other recipes on your YouTube channel are low calorie. 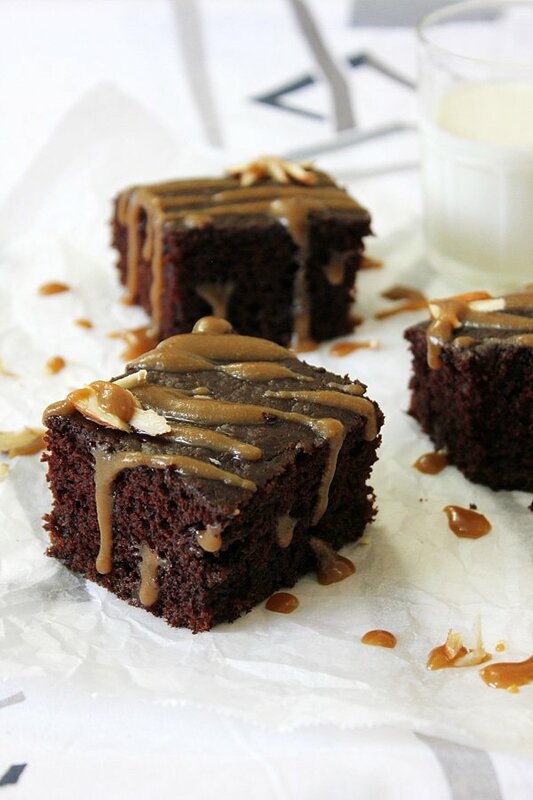 A good book, chocolate cake and coffee … trifecta of wonderful-ness. I subscribed to your YouTube channel, and I liked you on Facebook. Whoever invented the pause and serve ability for coffee makers … genius, and automatic entry into heaven. I just checked and I have all the ingredients! I am going to make this for dessert, I follow you on youtube and like on facebook. Thanks for sponsoring this giveaway! Subscribed to your YouTube channel Name is Dana Pugsley Email Dana.Pugsley63@gmail.com And that cake looks SO delicious Hard to believe it isn’t fattening!! I liked you on Facebook also! Your recipes look so easy.I am going to have to try to make some of them Thanks for sharing! Yum! This looks delicious, and I love that it’s low calorie. I subscribe on YouTube as Whitney Lindeman. I’m a YouTube subscriber (Sheila Korman)! what a great recipe- cant wait to convert to gluten free for my daughter! I also already liked your FB page. That cake looks delicious, BTW! That cake looks so wonderful! I think I’ll just go ahead and make it. I make buttermilk the same way. My mother taught me that! I am a YouTube subscriber as Jill Myrick. I’m a subscriber on youtube and liked Munaty Cooking on Facebook! 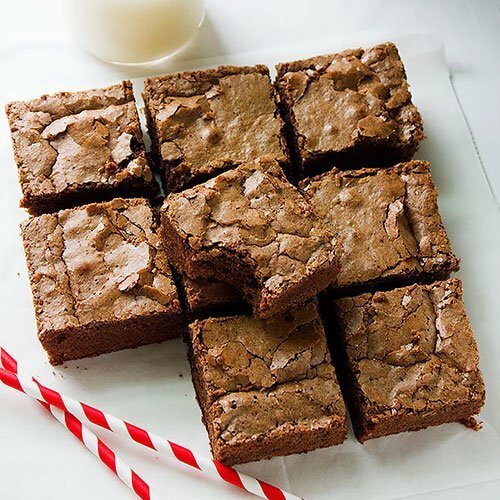 Love the buttermilk chocolate cake recipe. Thanks for sharing. I subscribed to your to your Youtube Channel and I like you on facebook. Thanks.